LILACS!!!!!! Get cozy while I ramble on and on about my lilac saga. I've been trying to grow some in various yards for 15 years, I think. Last year I got two sprigs. This year, nearly a dozen! I had enough to fill two vases! See the one up above? That was the SMALL bouquet! I have a much bigger one! The whole house smelled like lilacs. My only only only quibble is that my lilacs are very dark purple, almost magenta. Aren't lilacs supposed to be lilac colored?? Meaning pale pastel purple? I've seen those around and I actually prefer the pale colored lilacs and I think they have a more intense fragrance, but you know what? I'M NOT COMPLAINING, really. I'm just so happy to have anything. At my old house, I had a very healthy and green lilac bush that never produced because it was in full shade. Woopsie. Then in our current house, about 5 or 6 years ago I got a new lilac bush and again made the same mistake - put it in a spot with not enough sun. Why did I not research this biz?? No idea. So then we dug it up and moved it to the sunniest spot in our yard and BEHOLD. Lilacs. That's my lilac story. I can't believe I had such a hard time. They seriously grow like weeds around here. But I had resigned myself that lilacs were for others, never for me. 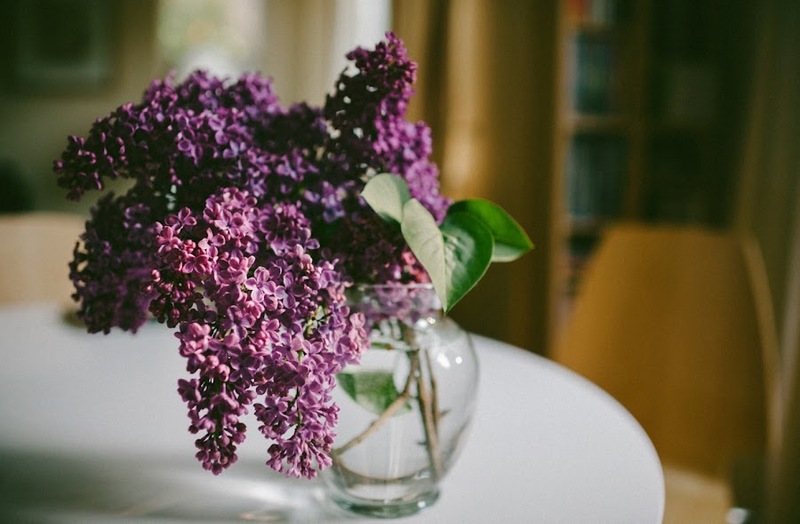 Long ago, a friend gave me a lilac bouquet to take home and I put it right next to my bed and thought I had never smelled anything so wonderful in all of days. (Until I discovered peonies) In Hawaii we have plumerias and gardenias, which are indeed amazing, but they are so overtly TROPICAL and heady and kind of overpowering. I had always longed to be in the land of lilacs and elderberries and peonies and sweet peas and old fashioned cottage flowers. I tell you, even at age 18, I had the heart of little old British lady living in the Cotswolds. I've heard it all now. Unicorn grilled cheese? I need to read this asap. 'Catastrophic Happiness'. When it's good to hover, regarding your children. 31 boho rooms with too many prints. 4 vital questions to teach your kids. Pop art portrait kids craft. Cool Book of the Week: 'Farmette' by Imen McDonnell is what I'm asking Andrew to get me for Mother's Day. I can't wait. I really hope I get it! If I don't, I'm getting it for myself. I adore Imen's blog of the same name, and I can't wait to read more about her fascinating story (American career woman in the entertainment industry marries an Irish farmer and moves to his family farm in Ireland), while having her recipes right at my fingertips. Cozy food like Midnight Treacle Pudding, Creamiest Cream Scones, Brambleberry Pie, Lobster Macaroni and Cheese, Dark Chocolate and Orange Biscuit Cake, Apple Blossom Cordial and tea cakes and and and - a slew of other fantastic sounding recipes. SO excited for this one! And if the book is anything like Imen's Instagram, the photos are sure to be enchanting as well. Have a lovely weekend! Our run of summer-in-April is coming to an end and I'm glad about that. We hit the mid-80's. In APRIL. That never happens! I'm ready for some rain and grey clouds. I've become a true Pacific Northwesterner. Summer needs to wait its turn. Summer is not supposed to occur in APRIL. 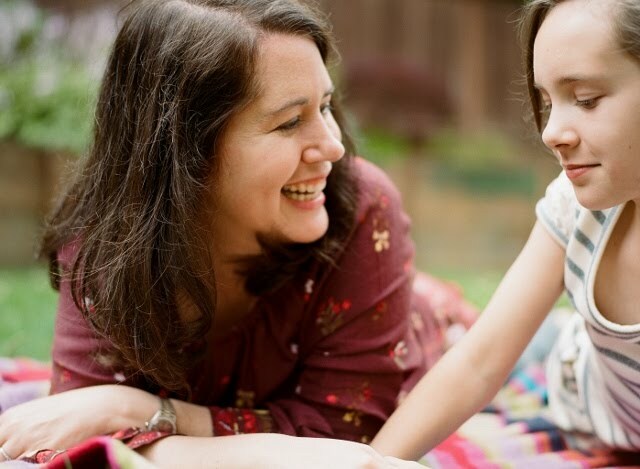 Thank you for the article on the mom who intervened with her daughter because she thought her daughter was rejecting a potential new friend. I LOVE the idea of making withdrawals from one's social bank to "spend" on others. I'm saving this for the future. wasn't that an amazing read?? LOVED it! I'm definitely holding onto this article!